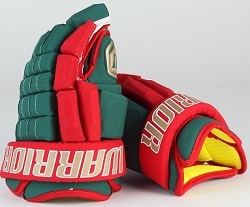 What’s the Difference between pro stock hockey equipment and the gear available at large retailers and pro shops? Two words: performance and customization. Pro stock equipment is gear made for the pros — designed to NHL player specifications and able to compete at the highest level. Pro stock equipment, meanwhile, is a whole different animal. Since it’s purpose-built to the exacting specifications of top-tier NHL players, quality is more important than quantity. Using the highest-grade materials available and assembled by sports equipment experts, this gear meets any challenge, from amateur to elite. Where does pro stock equipment come from? Manufacturers like Bauer, Warrior, CCM/Reebok and Easton. All of these brands sell directly to NHL teams based on endorsement contracts with specific players. While they mass-produce some equipment for sale in sports stores, all their pro stock lines are completely customizable to meet player needs, because if NHL pros aren’t happy, they’ll cut a new deal with someone else. Where is pro stock equipment made? Pro stock manufacturers have facilities in Asia, Mexico and Canada, and all their gear is thoroughly tested before it hits the ice. Is there a warranty on pro stock equipment? Typically, no. 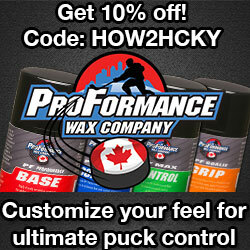 Since it’s been sold to NHL teams and, in many cases, used by top players in the league, no warranty is available. Some online resellers will however offer a warranty or replacement guarantee on sticks that break from regular use within a defined period of time from purchase date. 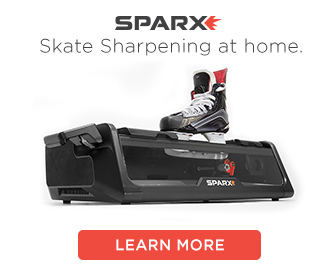 How do amateur hockey players get access to pro stock equipment? You won’t find pro stock equipment in stores, since it’s sold directly to NHL teams and then used by professional players. Some of this gear — both used on-ice and never touched — is resold at year-end team tent sales, and it’s also possible to pick up gear using online niche resellers or collectors. Marketplaces like eBay or Craiglist are also good places to track down pro stock equipment, but they come with a risk: you don’t really know what you’re getting until it arrives. How much wear and tear does pro stock equipment get before it’s sold? Depends on the player. 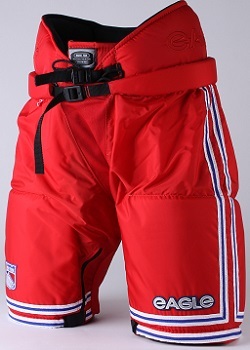 Some pros turn over equipment on a regular basis, while some prefer to use it for an entire season. Some gear is never used — for example extra sticks or gloves that were never needed. Gear that’s really unique, like Phil Kessel’s low-flex (less than 70!) stick, or Zdeno Chara’s monster that stretches 65 inches from knob to heel, may see more ice time. Is this gear used in games? Absolutely. Pro stock equipment is the only kind used by professional NHL players, and is rigorously tested during practices to make sure it’s game-worthy. If it doesn’t meet a player’s needs, it’s never used again. Can I get gear from specific players? Yes. 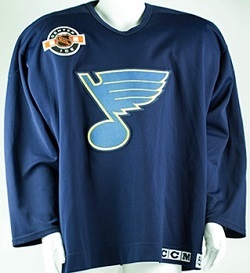 NHL tent-sales, collectors and online resellers all have access to gear from some of your favorite players. When buying online, however, it’s worth doing some research and tracking down a high-quality reseller that has a large inventory of player-used gear along with a reputation for great service and total customer satisfaction. Nate Puskaric is the Marketing Coordinator for Pro Stock Hockey, an online resource for pro stock hockey equipment. Nate is passionate about hockey, and is a lifelong Blackhawks fan. With his expertise in equipment and gear, Nate has the answers to your pro stock questions. I have a pair of skates I bought at the SJ Sharks sale a few years ago. 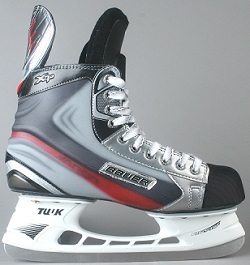 They are Bauer 8.5 – Jamal Meyers skates. They fit perfectly but I’m running out of blade. Any idea where I can find another pair?